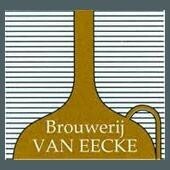 Brouwerij Van Eecke, also known as Brewery Gouden Leeuw, is a Belgian family brewery in Watou, a borough of Poperinge. The brewery was founded in 1862. The brewery got fame after World War II with her Abbey beers of Kapittel. The most known beer is Poperings Hommelbier. It is brewed at Brewery Van Eecke, but the bearing and filling happens Brewery Leroy Boezinge. Brewery Van Eecke and brewery Sas (or Leroy) have a very close cooperation.